Well this was a surprise. This was the free game of the month at some point and has been sitting on my xbone for something like a year. I wanted something quick to play the other day and finally tried it out and it actually turned out to be a ridiculously fun game. 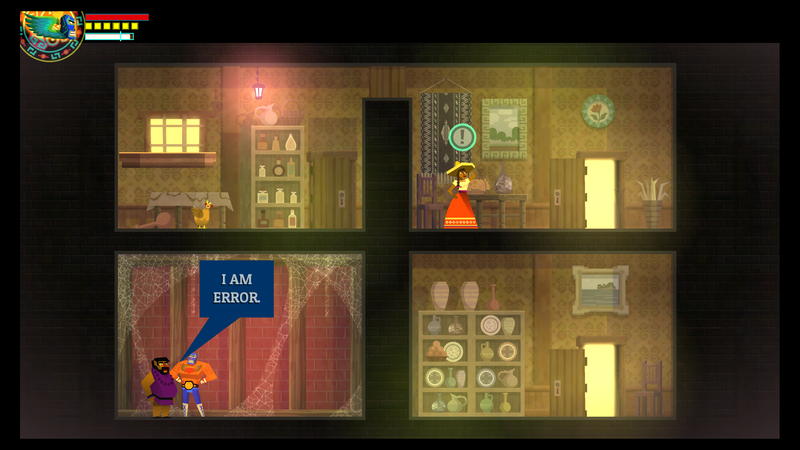 Yes, it’s a “Metroidvania” game. Don’t let the ridiculously goofy Mexican stereotype theme and utterly generic save your girlfriend from the forces of evil plot fool you, it’s an amazingly solid entry into the genre. The combat is a satisfying melee combo system consisting of color coded special attacks that you gain throughout your journey, each with a different effect and each doubling as a way to open locked “doors” of the corresponding colors. 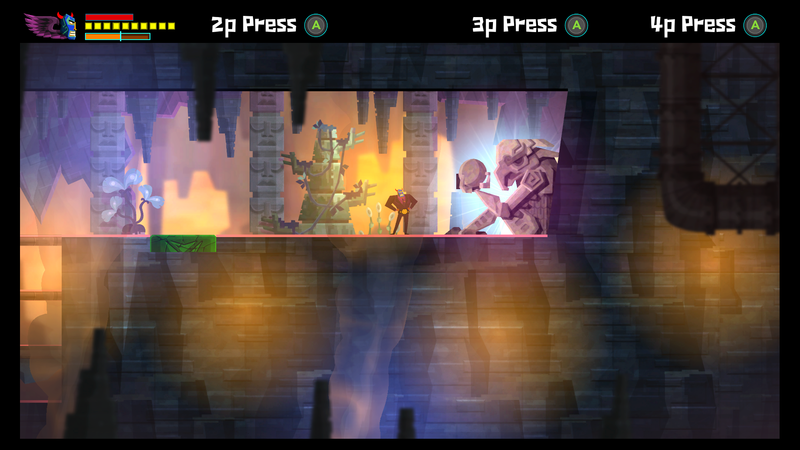 The more moves you gain, the more enemies you will start running into that are weak to certain specific moves or have shields that can only be broken by specific attacks, making things a bit trickier, but never so complex that you feel like you’re trying to compete in a serious fighting game or anything like that. Also, big, weird bosses, naturally. Of course, as with all games of this type, there are secrets and power-ups everywhere that you’ll need special abilities or attacks to get to. Some of which contain odd surprises. You will find quite a few classic video game references along the way too. The creators were obviously big NES fans. This is the mysterious cube language from the game Fez, but wait that’s not all…translated, it reads “Be sure to drink your Ovaltine”, which is an obscure reference to the decoder ring scene from the movie “A Christmas Story”. WTF. 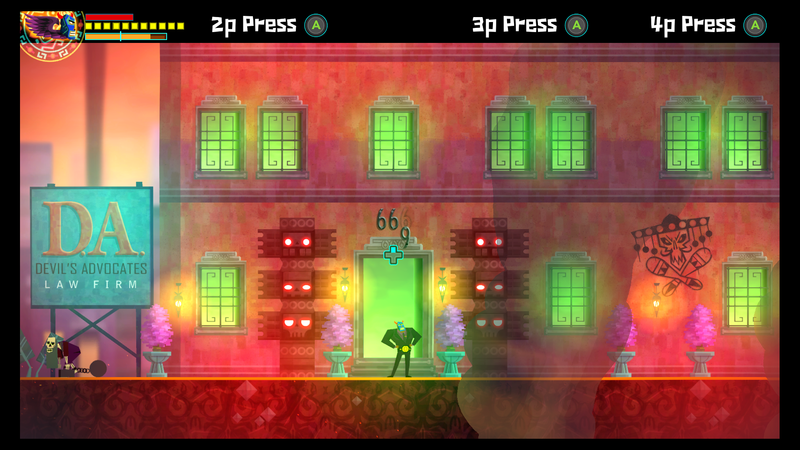 Anyway…like I said, ridiculously fun game that I had a hard time putting down. 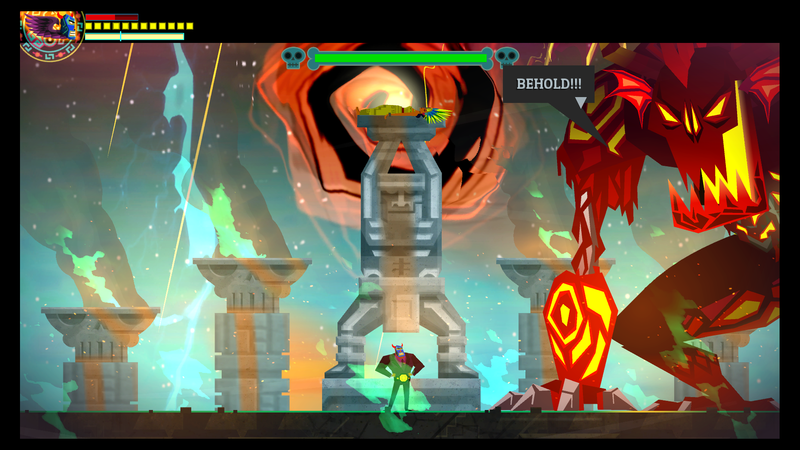 Guacamelee is packed full of solid, super-fun gameplay and a lot of great style and humor and I would recommend the hell out of it to anyone that likes “Metroidvania” type games, or really, anyone that likes games in general. 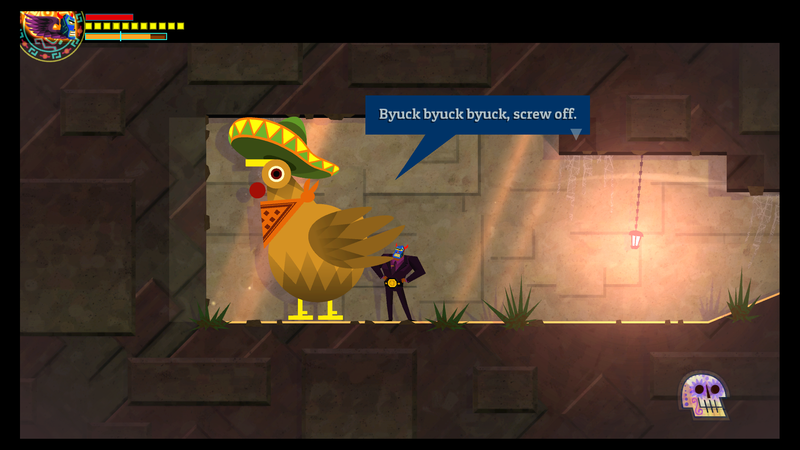 I give Guacamelee 5 bizarre fascinations with anthropomorphic Mexican chickens out of 5. 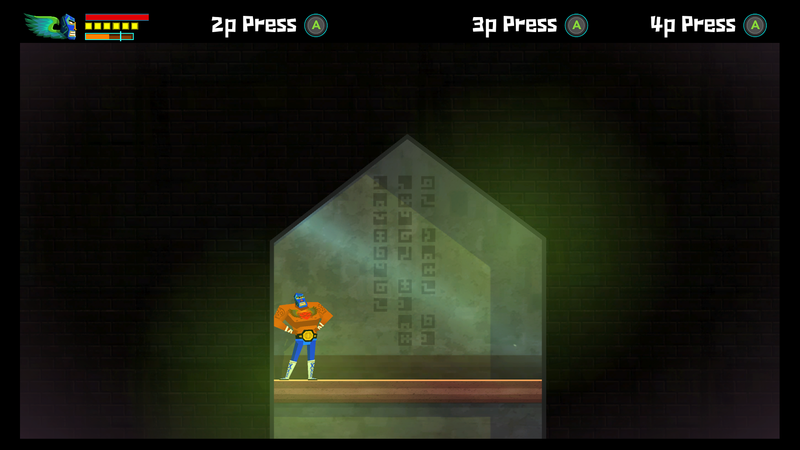 This entry was posted in Games and tagged Games, guacamelee.